Construction on the new $200 million Crystalbrook Superyacht Marina development in Port Douglas is expected to begin in January 2019. Prime Construction is leading the project for the Ghassan Aboud Group, which also has three high-rise hotel developments with a total value of $430 million under way in Cairns under the Crystalbrook Collection badge. “We will be doing some preliminary works there (at Port Douglas) this year – dredging the existing marina and preparatory work such as relocating the existing slipway and other minor works,” Prime Group project director Simon Vinnicombe said. 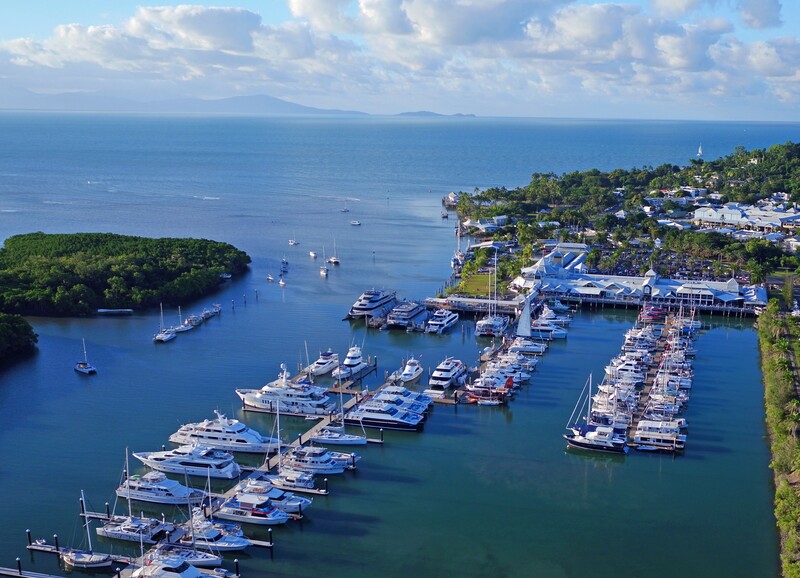 Crystalbrook Collection announced its acquisition of The Reef Marina in Port Douglas in September, unveiling plans for a superyacht marina, a luxury waterfront hotel, premium residences, retail and dining areas. Prime Construction is also leading work on a $130 million redevelopment at the Rydges Tradewinds Cairns site. “It is well advanced from a construction perspective with about 70 per cent of the room renovations done,” Mr Vinnicombe said. Riley will include the renovated hotel building and a new 12-storey tower with 55 additional rooms and food and beverage venues. Mr Vinnicombe said about 180 people were working on that site at the moment while about 100 people were working at each of the other two Cairns hotel sites the group is developing. A development to be known as the Bailey hotel is being built at Abbott St at a cost of $150 million. The five-star complex will include a 220-room hotel and 110 apartments and is expected to be ready for occupation in mid-2019. Work is also under way on the two-tower Flynn hotel, being developed at the former Bellview hotel site on The Esplanade at a cost of $150 million. The projects represented a significant spike in Cairns construction activity, Mr Vinnicombe said. “Cairns has been pretty depressed for a long time, other than government projects and smaller apartment buildings,” he said. However he said there were now some sizeable projects on the horizon, with the GA Group investment hopefully providing impetus for further growth. “From a property perspective Cairns is a good story. It has great rental returns and low vacancy rates,” Mr Vinnicombe said.